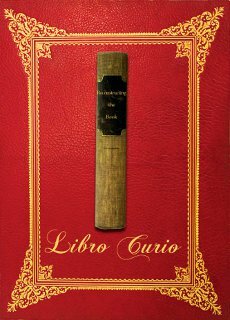 Philadelphia Center for the Book and the National Archives and Records Administration at Philadelphia (NARA) will be celebrating the exhibition Libro Curio: Reconstructing the Book with an opening reception on this date. The exhibit features work of PCB members who were inspired by book debris, such as book spines and fragments, discovered during a demolition project at NARA. We hope that the exhibit, among other things, will stimulate visitors to think about book and paper conservation, book construction techniques, the role of government in daily life, storytelling, and the uses of primary sources. The exhibit will be on view until April 2012.